One of Ontario’s leading organic retailers and buyers of organic grains will shut its doors Friday. Homestead Organics, founded and still run by organic driving force Tom Manley, will be sold off, likely in parts. The company said its Shakespeare, Ont. 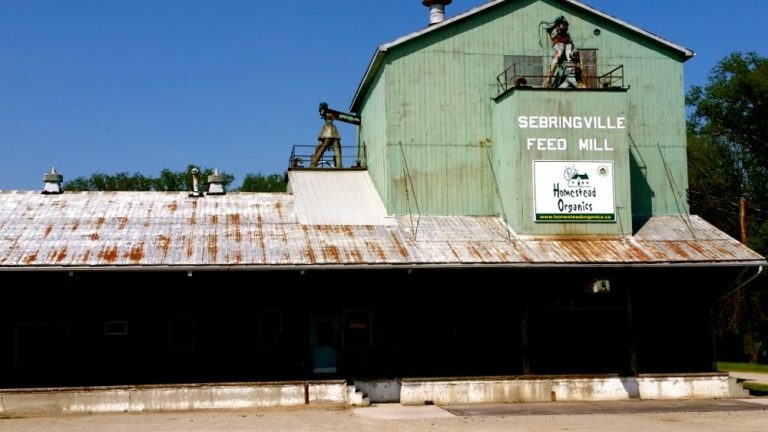 mill is in the process of being sold and will continue as an organic outlet. The two other locations owned by the company, at Berwick and Morrisburg, Ont., will be offered for sale. The bankruptcy of the company will result in some farmers not being paid for their grain. Manley apologized on the company’s website to farmers who have not got paid, but asked that anyone owing money continue to pay their accounts, as that will help pay farmers. Manley is the president of the Organic Council of Ontario (OCO), which he helped resurrect when it was in danger of closing three years ago. Manley and two other organic companies collected 50 cents per tonne of grain sold, then matched it, sending the funds to the OCO to help keep it going. That voluntary checkoff was equal to individual memberships in revenue for the organization, said Carolyn Young, executive director of OCO. The closure of Homestead Organics will cut into that revenue. OCO is working on a proposal for a mandatory checkoff and Young said she hopes the organization will have more to share soon. Manley was a strong, bilingual voice for organics across Canada. Ironically, his work has helped build the sector, attracting bigger players in the grain market to organics, making business tougher for medium-sized players such as Homestead Organics. The company had expanded in the past few years, including to Shakespeare in 2016 where it supplied organic animal feed, at the same time as new competitors were entering the business. The Morrisburg location was opened in 2013. Homestead Organics supplied large organic farmers and hobby farmers and gardeners as well, Young said. “Everybody’s feeling the loss,” she said. Homestead Organics performed an important role in the sector in education, she added, including employing agronomists to help farmers growing organic crops. Organic “pioneers suffer the consequences of their success,” she said, as larger companies with better access to cash flow and capital see a market where they can compete, once the market has grown large enough. “We’re having success convincing people organics is no longer a niche or a trend, but in doing so, we have to be wary and cognizant of carefully growing the market so transitions are not hitting some businesses harder than some others,” she said. Organic livestock farmers had confidence in Homestead’s feed quality and that it was also produced locally, said Lundy. Homestead Organics listed alternative suppliers on its website, but Lundy said the challenge of finding new suppliers could cause some farmers to quit growing organically.